18 or 19dBi – no mater for this one 🙂 . 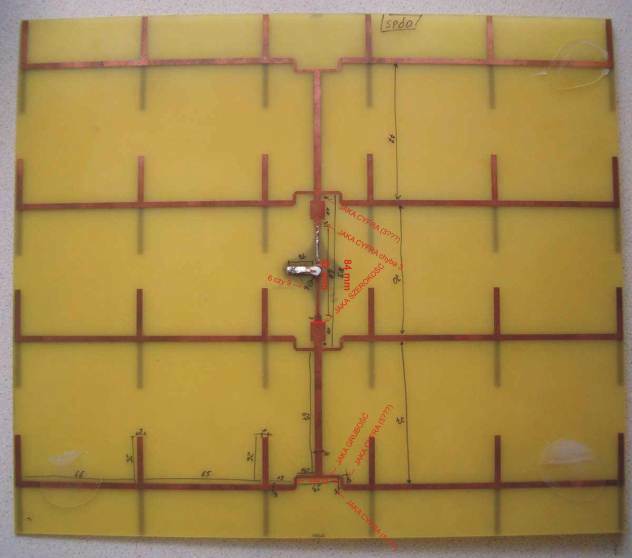 Several dipoles printed on PCB board. Have more dipoles You get more dBis. Will it be 10 12 or 24 – You decide how much do You need. This is defiantly homemade design. 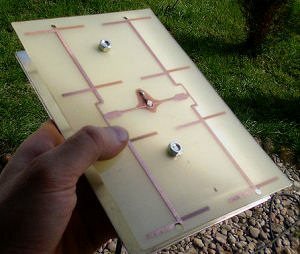 I have one small antenna whit only 4 dipoles – and it works great, so this antenna should work fine. Also will be easy to be rescaled for other bands – 2.4Ghz or 5Ghz only change dimension of the dipoles. Picture is from this address : diy.wifi-live.pl/node/4 where also have blueprints for less dbi antenna . On www.zero13wireless.net also has several files posted by sushisan .